Played DoT specs since my very first EQ Necro back in 1999 and really loved my Spriet and Afflic Lock in WoW. I tried Necro here but ended up having to switch to Minions for more survivability. I made a Revenaant cause I really like the Mace/Axe animations and wanted to be more tanky. I read they have the worst ramp up time. Wouldnt this be true for everyone considering the "over time" part of DoT? What would be considered fast ramp up for a Condi build? Just looking for something to faceroll my way through all the story stuff. I'm surprised you're struggling with necromancer, honestly. Even without minions they are generally among the best classes to use if you're finding other classes aren't resilient enough. But then again, it sounds like you're new so you probably just haven't figured it all out just yet. It's difficult to read the damage output in the youtube version, but the arbiter dies in about 9 seconds at which point damage peaks at nearly 10k DPS. That at least gives an impression of the sort of ramp-up time you'll be working with on mirage in a solo scenario. I chose this one because it's probably the best video I have on my channel to showcase damage avoidance. Those little blue targeting circles that float after me throughout the video cause a sniper shot to fire, taking more than half of my health if it hits. That would be enough to deal with without having a champion trying to kill me! So, as you'll see in the video I have my hands full avoiding damage! Sorry I don't have anything more relevant to a player leveling up, but hey maybe it will give you some ideas on things to try along the way! If nothing else, mesmer is probably the most unique class I've seen an MMO! Necromancer has a very strong DoT potential but does take a while to ramp-up (at least more time than some other classes I'll talk about in a bit) ! 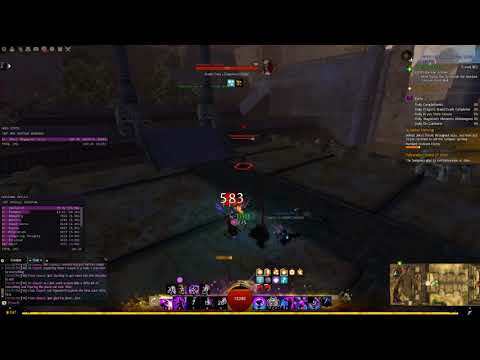 Often a condi necro (or scourge) will only manage to unleash full potential against bosses (champions and legendaries) in fractals and other high-level group pve content. If you want a high ramp-up condi build, I think you can go check out condi druids and condi soulbeasts (both specializations of the ranger) ! The ramp-up is crazy and you just burn everything haha. Druid will do a bit less damage than soulbeast, but the survivability is much higher ! I guess the best would be for you to try them both ^^ The equipment stats should be the same for both builds so you dont have to worry about that. The firebrand (PoF specialization of guardian) also has really big condi numbers that climb very fast, though their main source of damage comes from only one condition (burning) contrary to condi druid or soulbeasts (who work mostly with bleed/poison/burn). Then the last one I can think of in fast ramp-up will be the Mirage (PoF mesmer specialization) which is just a monster especially in PvP. The main conditions are torment and confusion, which work better against players than monsters since they're based on movement and use of abilities to do more damage, but honestly you will still melt everything around you in pve ! Hope this will help you find some fun in the game! For a lot of PvE, the only condi you really need to care about is burning. So look at guardians and its elite specs, the warrior elite spec berserker, ranger, and engi. All of those can pretty effortlessly burn things to death in seconds. Use pistol blow torch followed by rocket boots tool belt kick and drop fire bomb field in bomb kit and switch to flame thrower to drop a fire field and fire attacks. Unlike necro engineer can rarely easily stack enough condis to do sustain damage but their burn burst is pretty good. 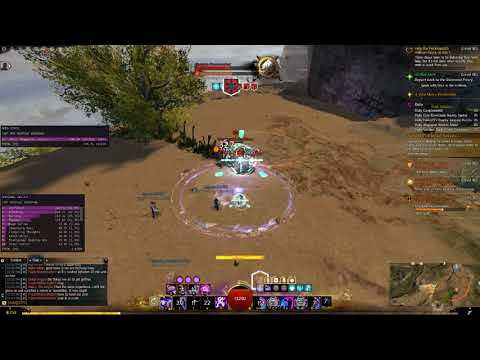 So condi engineer is ok for pve and burn burst is good for spvp and wvw.